A PROGRAMME to warn youths of the dangers of gambling has got off to a good start. 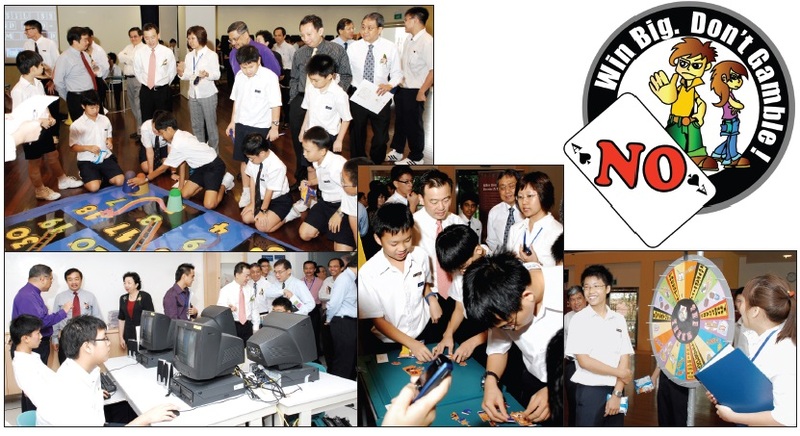 The Methodist Children and Youth Centre (MCYC) officially launched the Youth Gambling Prevention Road Show at Anglo-Chinese School (Barker Road) on May 17, 2007. The Guest-of-Honour was Mr Sin Boon Ann, an MP for Tampines GRC and Chairman of Government Parliamentary Committee (Community Development, Youth and Sports). Mr Sin is an Old Boy of ACS. 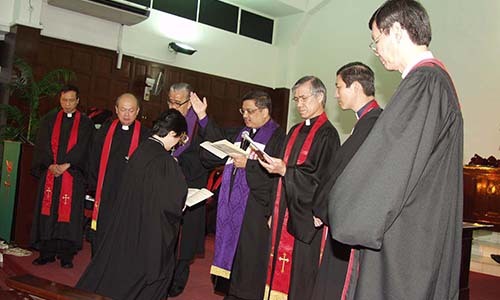 The idea to have such a programme was mooted by Bishop Dr Robert Solomon. There is a growing trend among youths getting involved in sports betting, particularly soccer betting. Research conducted overseas revealed that youth are two to four times more likely than adults to experience problems with gambling. Studies have also shown that one of the predictive factors of problem gambling behaviour in adults is gambling participation from an early age. The MCYC picked up this idea and developed it into a youth gambling prevention road show. The objective of the road show is to educate the youths on the harm of gambling before they get hooked onto it. The road show also teaches them to recognise the signs of problem gambling and informs them of the available help services. The May 17 road show comprised a docudrama, entitled “False Hope”; a talk on gambling and how it affects youth; a poster display, with games to create greater awareness on the dangers of gambling; interactive computer games from McGill University; and give-away mobile phone screen wipers and diaries, with notes reinforcing the message for youth to keep away from gambling activities. The National Council of Problem Gambling (NCPG) supported the MCYC in the development and running of the Youth Gambling Prevention Road Show in 10 schools this year. The MCYC also partnered various interested groups to put together the road show. The General Conference Women’s Society for Christian Service (GC-WSCS) helped to fund the production of the docudrama, “False Hope”. The main cast of the docudrama was from Choa Chu Kang Secondary School’s Drama Club, while the rest of the actors and actresses were volunteers. A volunteer also wrote the script for the docudrama. The docudrama carries the stories of three youths, Kai, Wayne and Vicki, who became addicted to gambling for different reasons. Kai’s parents were too busy with their career and he was left to his own devices. From computer gaming, he progressed into online soccer betting, and then into online casino gambling. He lost interest in studies and spent most of his time gambling online. Wayne was hooked on illegal betting. At first, the winnings from illegal betting helped to finance his high spending habits, like buying the latest model of mobile phones. Then, he started losing and went into debt. Eventually, the gambling habit led to his break-up with his girlfriend and he became very despondent. Vicki’s parents used to run an illegal gambling den in their flat. Vicki’s father committed suicide when he was unable to clear his debts with the loan sharks. Vicki picked up her parents’ lifestyle and also became a gambling addict. Her sister, Min, was not addicted to gambling and persuaded Vicki to seek professional help. The docudrama shows how easily youths can be lured into gambling. It also shows how gambling has impacted their lives, friends and family members. Unless help is found, these youths will spiral down the road of self-destruction. There were two interactive games – Amazing Chateau, for primary students, and Hooked City, for secondary students. They were designed and produced by the International Centre for Youth Gambling Problems and High Risk Behaviours of McGill University, Canada. The MCYC has obtained site rights to use them in Singapore. The games are designed using animations. Students will learn of the dangers and misconceptions of gambling by playing these games on the computer. For the next three years, the MCYC will be bringing the road show to 10 schools every year. For this year, 10 schools have already confirmed their participation. 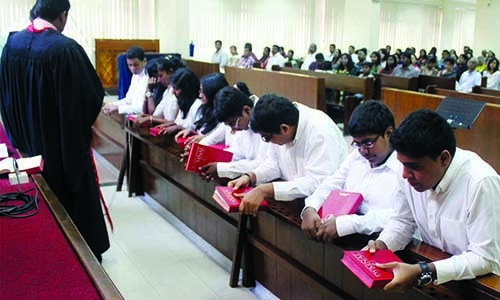 Seven more schools are already discussing their participation in the road show for 2008. * About two-thirds of respondents believed that teenagers were too young to become addicted to gambling. * About a quarter of respondents thought that if they became addicted to gambling, it would only affect them and not their family. * Almost a third of respondents believed that sports betting was easy and they could predict the outcome of each game so long as they knew how good the team was. * Similarly, 27 per cent believed that they could win a lot of money if they had the right gambling skills. * About 24 per cent were not confident of saying “no” to gambling if they were invited to do so. * Almost 20 per cent of respondents were not likely to seek help if they knew they were having problems with gambling. * About 71 per cent of respondents were not aware of any organisation that they could turn to if they had a gambling problem. The data indicates that there may be misinformation, misconception and even false beliefs about gambling and the associated ills. After the students had gone through the road show, a post-programme survey was conducted using the same questions. While it was found that certain beliefs on gambling were quite entrenched, the programmes succeeded in changing some of the mindsets of the youths about gambling. * The percentage of respondents who believed that sports betting was easy and they could predict the outcome was reduced from 31.1 per cent to about 19 per cent. 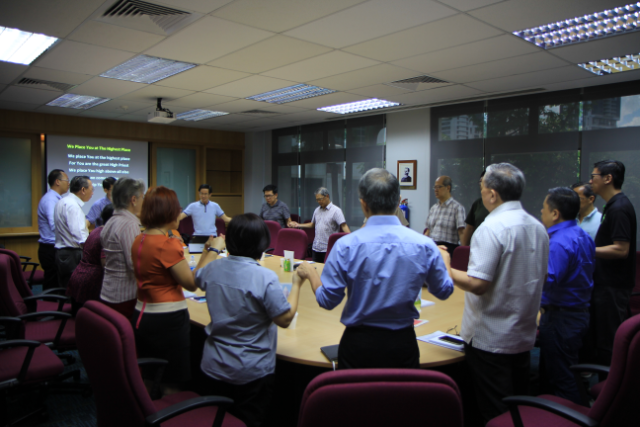 From the pilot runs, it can be seen that much more needs to be done to educate the youth in Singapore on the dangers of gambling. 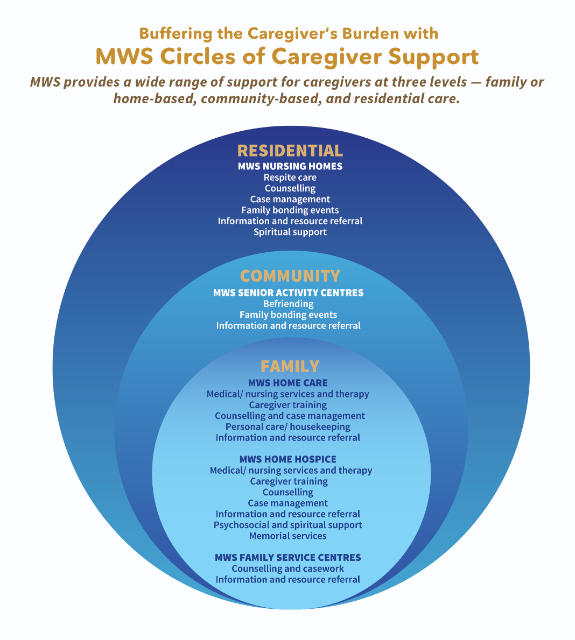 The road show is a small step to help. More can be done to help the youth change their thinking on gambling. 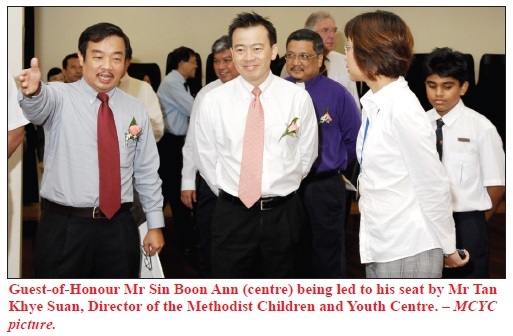 Tan Khye Suan is the Director of the Methodist Children and Youth Centre.